On February 11, at 04:57 an emergency call was received to “911” service that a fire had broken out in a classroom of the school in Saratak village, Shirak Province. Three fire units from the fire and rescue squad and the operative group of the Regional Rescue Department of the rescue service of MES of RA left for the scene. It turned out that the fire had broken out on the roof and in a classroom of the school in Saratak village. The fire was localized at 05:51 and extinguished at 06:46. 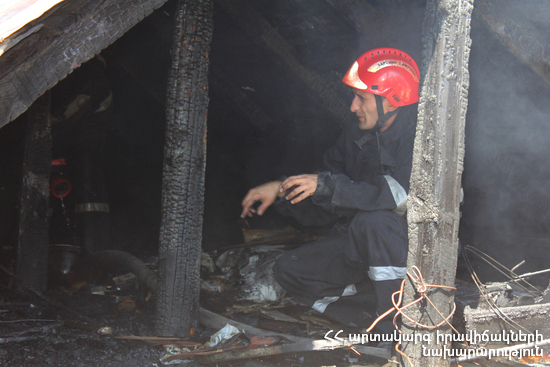 The wooden constructions of the roof (about 10 m2) and the director's cabinet with furniture (about 30 m2) burnt.